Register builtin LFS on startup. When EGit starts and the lfs bundle (org.eclipse.jgit.lfs) is available register the LFS implementation and check configuration. Allow install (enablement) of LFS support in Preferences (global) and on the repository (local). Apply smudge/clean filters where applicable and required. LFS integration using built-in JGit lfs filters fully works when using Gerrit with lfs plugin using ssh protocol. Use PathFilterGroup instead of PathFilter if possible. TreeWalks looking for a single path can use PathFilterGroup instead of PathFilter. This should be a little bit faster. 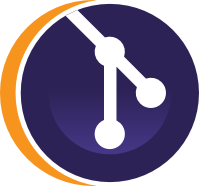 In EGit use mmap to map git packfiles into memory. Avoids allocating JGit buffer cache on the Java heap. Remove deprecated UIUtils#applyHyperlinkDetectorStyleRanges and #getHyperlinkDetectorStyleRanges. Use FeatureTrackOperation#FeatureTrackOperation(GitFlowRepository, Ref, int) instead. Use #getMapping(IResource) and then #getRepository()} on the returned mapping instead; it will return a submodule repository if the resource is in one.